Today I'm at Duke Hospital with my son Preston, who is having surgery; your prayers would be appreciated. 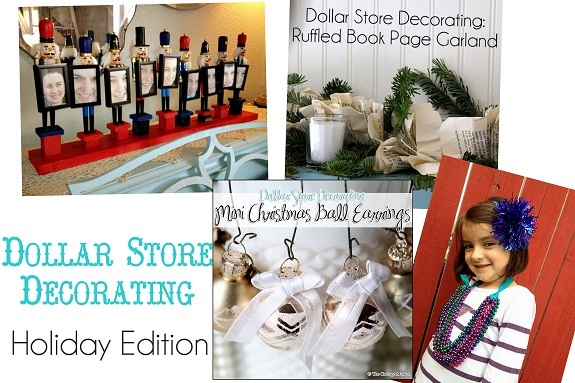 But today is a special day, because it's the day for the Dollar Store Decorating Link Party! This week I was blessed to be part of a group of bloggers been sharing our ideas for decorating using dollar store items. It's been fun! And today it's YOUR turn to show us your ideas. Now it's YOUR turn! 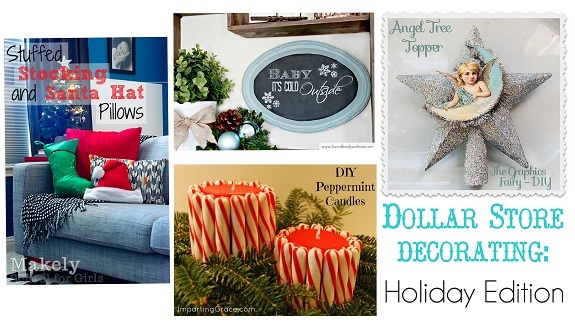 Link up your decorating ideas/crafts using dollar store type items. And be sure to visit other party goers--join the fun and spread the love! Thinking of you all and sending prayers for Preston. Taking a moment to pray when it is requested is a gift beyond measure....I know...I have been on the receiving end of those prayers. Praying for Preston and your family. May the surgery be successful and a quick recovery.